A conversation with Dr. Seth Yellin, Director of Marietta Facial Plastic Surgery & Aesthetics Center outside of Atlanta, GA.
That's interesting: Dr. Yellin has appeared on NBC, ABC, CBS, CNN and Fox Television News and has been interviewed by local, national and international publications discussing facial plastic surgery. With 70,000+ unique patient visits per year flowing through 3 clinic locations and a staff of 90, Dr. Yellin is definately on on the high end of the scale of patient traffic... but size comes with its own challenges. We got together with Dr. Yellin to hear his thoughs on plastic surgery and hear a few patient stories. What was it that drew you to plastic surgery? My interest was peaked while working as a resident at Manhattan Eye, Ear & Throat Hospital in the early 1990’s. I had the good fortune of being exposed to some of the greatest cosmetic surgeons of the time. Watching the skillful hands of Drs. Daniel Baker and Sherrell Aston and assisting Dr. Norman Pastorek were some of the inspiring highlights. At the same time, during my training as a head and neck cancer specialist at Memorial Sloan-Kettering Cancer Center, I came to realize that I found the greatest personal satisfaction in reconstructing the complex defects we had created to cure the patient from cancer. These experiences led me to the career I now thoroughly enjoy. Can you tell us more about your clinic? How is it organized? How do you delegate the tasks to your team? During 12 years as Chief of Facial Plastic Surgery at Emory Healthcare and Director of the Emory Facial Center, I learned a great deal about patient satisfaction and what it took to deliver world-class service. I also had the opportunity to build a brand new office, which allowed me to understand how to create a beautiful, patient-oriented environment that would serve to enhance the patient experience even further. 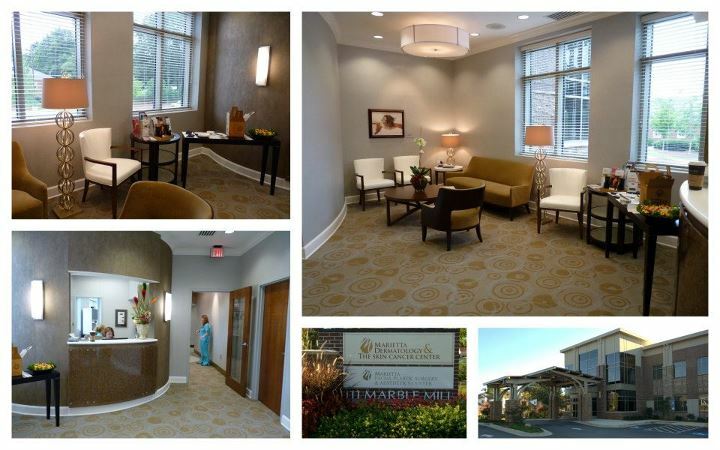 When I decided to leave academic medicine and return to private practice to start Marietta Facial Plastic Surgery & Aesthetics Center, I took with me all of the lessons from that experience and was able to refine the concepts and create an even more relaxed, spa-like environment that has the resources and facilities to permit myself and my staff to deliver the best care possible. As the founder of Marietta Facial Plastic Surgery & Aesthetics Center, I serve as its Director. However, the practice is partners with Marietta Dermatology and the Skin Cancer Center. As such we have a CEO that oversees all of our staff (more than 90 individuals) at our 3 facilities. 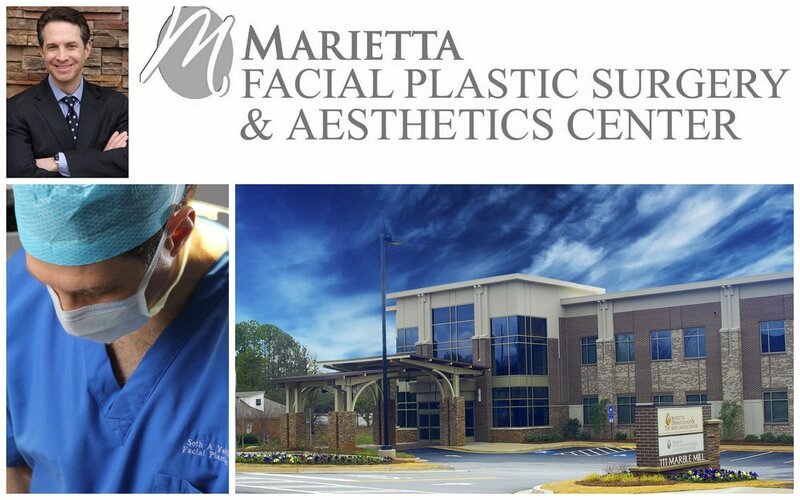 Regarding Marietta Facial Plastic Surgery & Aesthetics Center, we are located on the ground floor of our practices brand new, freestanding, 40,000 square foot facility in Marietta, Georgia adjacent to Wellstar’s Kennestone Hospital. We have 5 full time staff members, in addition to a part time hair restoration surgeon, Dr. Kenneth Anderson, and the additional staff that supports him during his procedures. Our office manager, Kim Palmieri, oversees day-to-day operation. She is also our cosmetic patient coordinator. We also have a receptionist, a nurse and 2 full time aestheticians who offer an array of both pampering and medical skin care services including facials, skin peels, IPL, laser skin treatments, laser hair removal, vibrabrasion, smooth shapes, blue light therapy, camouflage make-up, and skin care consultations. We offer a private label skin care line and carry several additional select skin care product lines to complement our offering. In addition to skin care services mentioned above, we offer surgical hair restoration with Dr. Anderson, who’s practice is focused exclusively on managing hair loss. I provide a full array of both non-surgical and surgical facial plastic surgical services. My special areas of interest regarding cosmetic procedures include periorbital rejuvenation (blepharoplasty), pan-facial volume replacement, cervical contouring and lower facial rejuvenation (face lifting) and nasal refinement (rhinoplasty). My expertise in these areas has been well recognized through both my writings and academic lectures. In addition to our cosmetic services, we are a vertically integrated center of excellence for skin cancer management including detection and surveillance, Mohs surgical treatment, in-house dermatopathology and reconstructive services. We provide care to men and women of all ethnicities, from the very young to the elderly. 80 percent of our patients live in the greater Atlanta area while 20% fly in from the world over to seek our services. I offer charity care for the truly needy through the Good Samaritan program and Face-to-Face, a program sponsored by the American Academy of Facial Plastic & Reconstructive Surgery, which helps financially challenged victims of domestic violence. All new hires are vetted through an interview process including myself, our office manager and our practice’s CEO as well as checking references and a routine background check and drug screening. However, the final decision to hire rests with me. We have a great group of employees who all get along both professionally and socially. I encourage a relaxed, fun yet professional atmosphere that patients often comment on unsolicited. Since we are a relatively small office, any new hire must fit in with the group. As such I will have them spend a full day with us in the office before I decide to hire them. Before any final hiring decision, I get input from all of the members of my staff. When a staff member is not performing up to expectation and they have been given multiple opportunities to improve, the final decision to fire them is also up to me. However, it is our CEO who handles the details. Our staff are all financially incentivized so that as the practice’s success grows, there is an upside for everybody. However, to avoid disagreements, we have a shared incentive plan that enables all of our staff to receive a bonus without having to keep track of who actually made what sale. Since everyone is contributing to the patient’s experience, and everyone is pulling hard in the same direction, this works well for us. However, just as important as incentives is the need to pay individuals a fair salary and give them professional freedoms and control over their day-to day activities and work environment. This professional freedom goes a long way to keeping your employees feeling happy and fulfilled. What IPL or laser technologies are available at you office? How do you select equipments that you can later offer to your patients? Our IPL and lasers used in the office are treatments that for the most part deliver patient satisfaction with minimum down time and tolerable discomfort. The therapies are delivered by our aestheticians except for the V-beam laser, which is performed in our practice by physicians only. Since I do not do most of the treatments, this frees me up to do other things while still generating a good income stream for the practice. Also, since paramedical personnel are doing the treatments, the costs to the patient can be less. They are also a great way to capture the patient who is not ready for more aggressive procedures such as CO2 laser resurfacing which I do in an OR setting. We are solicited by sales people and by mail to inform us of new technology. If considering a new piece of equipment with a high price tag, we will meet with the rep, demo the equipment and do an ROI analysis. We must also consider competing technologies and whether we are on the leading edge of the curve with the new technology. I am result driven. If the device delivers inconsistent improvements or changes that are too subtle to appreciate easily, I am not interested. We have a good array of technologies currently so any new device must fill a therapeutic niche that we are currently not capturing. How do you reach out to your patients? Please enumerate marketing strategies that has been effective for your practice. Since I returned to private practice and relocated my practice 1 year ago, marketing has played a key role in informing my existing patients that I moved locations and exposed me to a number of new patients in our area. We sent a letter informing my former patients that we moved which was very effective and overall I have been very pleased with the number of patients that have followed me even if we are geographically less conveniently located for them. We use radio for 3 week bursts when we have a specific message we need to communicate to a large audience. I prefer talk radio. We have before and after books dispersed throughout our facilities and placed in over 60 waiting and exam rooms. We have more than 70,000 unique patient visits per year flowing through our 3 locations and marketing to this loyal group is a top priority. We utilize voice on hold messaging and strategically placed TV’s with customized messaging throughout our facilities. We use email blasts to promote an event or special offer and maintain a very active Facebook page and website. We also do quarterly lectures to the public and PR events selectively. We ask our patients for their feedback, respond to their needs and always thank our patients for referring their colleagues, friends and family. In general, there is no one home run way of communicating. You need to be persistent, creative, willing to take risks and stay open to ways to improve the customer experience. But remember, no one is more of an expert about your practice than you are. Finally, never hire anyone on retainer. You will not get their best efforts. What treatments or services offer a high revenue? Skin care products and services generate the most number of sales. This is logical since the treatments are relatively low-cost, don’t hurt or are minimally uncomfortable and are the least threatening. We also have 17 Dermatologists/Physician Assistants referring to us for these services. However, the best cost/time spent treating are the fillers and neuromodulators that we use to enhance facial appearance. However, I feel that I have a true artists eye and years of experience so that our patient satisfaction is very high and complications very low with these procedures. We go for full correction and are often using multiple products to achieve maximum aesthetic benefit. In office blepharoplasty is also a high satisfaction and profitable procedure as well. Though I promote and love to perform more extensive cosmetic surgery and though it is lucrative, I use an outpatient surgical facility for most of my procedures that is off site and thus my efficiency drops when I have to go to the operating room and then travel to come back to my office later in the day. Can you share the lessons you've learned in this industry? Never underestimate the psychological power and benefit of cosmetic surgery. We are psychiatrist with a needle and knife. Enabling a person to feel confident and happy with their appearance often translates into similar feelings about the rest of their life. Aside from the social advantages of looking good and carrying oneself with confidence, one’s career can often benefit as well. A woman came to my office complaining of a sagging neck, after surgically correcting her problem, she returned for her 3 month post-op visit and informed me that she was so happy and confident with her new appearance that she is divorcing her abusive husband, has found a man who “treats me right”, bought a Harley Davidson Motorcycle and is touring cross country with her new beaux. Another woman, who had undergone pan-facial rejuvenation after losing her husband in a car accident 4 years ago and is now 18 months from surgery, told me that she reconnected with a childhood sweetheart who could not believe how beautiful she looked and proposed to her after dating just 3 months. A man in his mid-60’s who is a computer programmer, was told by his company that he was too old to get the job done and that his field was for the young. After having a facelift, blepharoplasty, midface volume replacement and surgical hair restoration, he was given a promotion to head up his company’s Seattle office rather than being discarded as old and over the hill. A woman who had been treated for breast cancer and reconstructed underwent cosmetic facial surgery about 3 years after her ordeal. She told me that for the first time in 3 years she felt beautiful. All you can do is smile. Lastly, I repaired a woman’s face after she suffered facial paralysis due to a malignant intracranial facial nerve tumor resection. She told me that though Dr. “X” saved her life, but I gave her a life worth living. As a physician, it doesn’t get much better than that! What's the most valuable advice can you give to aspiring cosmetic surgeons out there? Love what you do. It is noble and gratifying profession. Remember that patients are often vulnerable when they come for a consultation regarding cosmetic surgery. Treat the patient with the utmost respect, listen carefully, explain thoroughly, execute artistically, be supportive post-operatively and be appreciative. The patient has shown tremendous trust in you. Live up to that trust. About: Dr. Yellin received his undergraduate degree from Emory University, Phi Beta Kappa and his medical degree from New York University School of Medicine, Alpha Omega Alpha. Following 2 years of General Surgical training at Lenox Hill Hospital in New York City and a 4 year Residency in Otolaryngology-Head & Neck Surgery at Manhattan Eye, Ear & Throat Hospital, Cornell Medical Center and Memorial Sloan Kettering Cancer Center, he completed a fellowship through the Academy of Facial Plastic and Reconstructive Surgery with Richard T. Farrior, MD and is double board-certified by the American Board of Otolaryngology and the American Board of Facial Plastic & Reconstructive Surgery. He is also a fellow of the American Academy of Facial Plastic & Reconstructive Surgery and the American College of Surgeons. Since completing his surgical training, Dr. Yellin has limited his practice exclusively to the subspecialty of Facial Plastic Surgery. From 1996-1998 he was in private practice in Atlanta and was a clinical assistant professor at Emory University, after which time he joined Emory Healthcare as a full time faculty member. In 1999 he founded the Emory Facial Center and from 1999 to 2011, he served as its Director and as Chief of Facial Plastic Surgery at Emory Healthcare. In 2011, Dr. Yellin returned to private practice and founded Marietta Facial Plastic Surgery & Aesthetics Center, a subsidiary of Marietta Dermatology & The Skin Cancer Center. As an educator, Dr. Yellin teaches the art and science of facial plastic surgery at CME accredited courses throughout the United States and abroad. He also contributes to the medical literature, serves on multiple committees for the American Academy of Facial Plastic & Reconstructive Surgery and has served as an exam writer and oral board examiner for the American Board of Facial Plastic and Reconstructive Surgery.